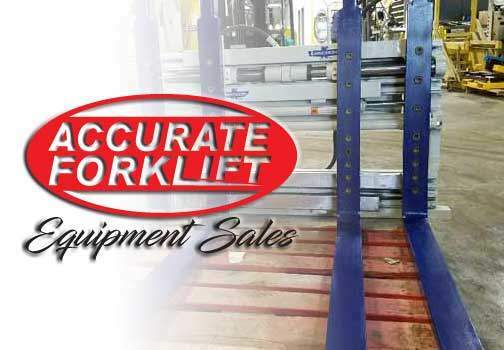 Accurate Forklift has been in the Atlanta area for over twenty two years specializing in Forklift Service, Forklift Rental, Forklift Sales and New and Used Forklift Parts. Our name is a trusted name in the forklift industry. We provide quality Forklift parts and add-ons at a fair price. From our #1 certified mechanics to our knowledgeable Forklift Parts staff, we look forward to helping you save on downtime and reducing the overall cost of maintaining your Forklift fleet. We take great pride in the outstanding Forklift service that we offer our customers. Because your material handling operations are extremely important to your business, we believe that providing you with a knowledgeable, dependable and responsive forklift service team is vital to keeping your operations running efficiently at all times. 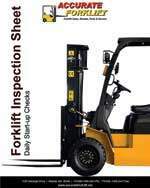 If you have any questions about our inventory of fork lift parts, or if you are looking for a specific piece of equipment that you do not see on our Web site, please call us or fill out the form on the contact us page the part number may have changed and we can cross reference it for you. If we don’t have the part you’re looking for, we will do everything we can to help you locate it. 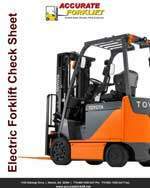 Accurate Forklifts goal is providing you with the most dependable and reliable forklift service available in the forklift industry today. 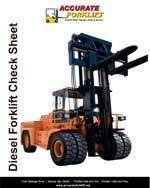 We are standing by to help you with any Forklift Rental, Forklift Part or Forklift Service Need you may have. From new parts and used parts to rentals and leasing to purchases of your new lift to any service needs. Accurate Forklift has the knowledge and staff available to meet your needs. 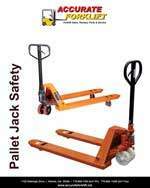 We have everything you need for a 5,000 lb capacity pallet jack up to a 36,000 lb capacity forklift. Are you in need of a All Terrain forklift? We have you covered there also. We have three all terrain forklifts available in our rental fleet and one available in our sales fleet. Downtime is a big importance when it comes to moving your goods and can quickly become a major expense. You can depend on Accurate Forklift to meet your needs and expectations. We can lift your business to the next level. Give us a call today at 770-692-1455 and ask for either sales, parts, rentals or service and one of our sales staff will be happy to assist you. Be sure and check out our equipment that we have for sale or rent. 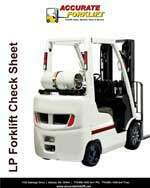 We have forklifts for rent from 3,000 lb lifting capacity to 36,000 lb lifting capacity. 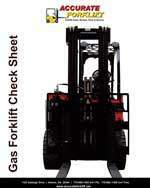 Most of our forklifts that we have for sale come with up to a 90 day warranty. We also have a large selection of refurbished forklifts available for sale. Check the page daily for specialty equipment that we have for sale. We carry everything from tow carts, stock carts, special attachments to 36,000 lb capacity forklifts. If you have a special need be sure and let us know. We are part of an equipment network and may be able to find that perfect piece of equipment that you need. Give us a call today at 770-692-1455 and one of our sales staff will be able to help you. We are looking for the missing piece to our puzzle. Are you self motivated, a team member, a problem solver and not a problem creator. Are you a Forklift Technician, Outstanding Salesperson, Tractor Trailer Operator and you would like to work for one of the largest independent forklift companies in the Atlanta area. We have a place for you. Just fill out our online application and we will be in touch with you. Competitive pay, 401k, we have the position for you. Download any of our ebooks that we have available on our website. We will be updating our selection of ebooks on a regular basis so be sure and check our site for future ebooks, news and monthly specials.